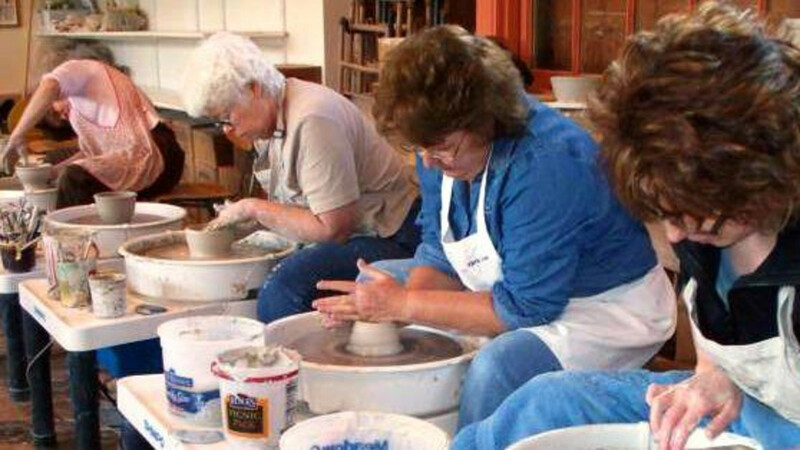 Potters' Depot LLC is a ceramics studio and gallery that provides an environment for learning, creativity and increased appreciation for ceramic arts. Come in and check out our gallery. We have functional pottery for sale, made right here in our own studio. Some of our popular items are berry bowls, honey pots, pitchers and dinnerware. We are located in the heart of historal downtown Buffalo in the old train depot, one block east of Main Street at the corner of Lobban and Benteen Street.